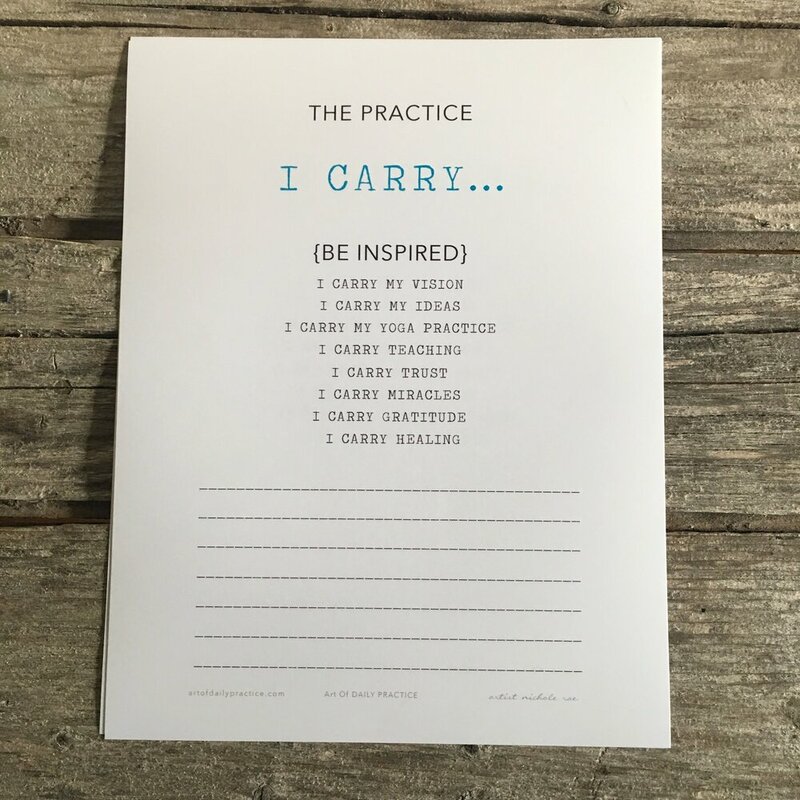 My intention for this Practice of Affirmation is to inspire your creative spirit and connect you with your present self through a guided affirmation practice + workbook. This practice is FOR YOU to begin with me and unfold into a daily practice using 54 different affirmation practices to create what you most need to find. "I have to tell you I love what you are doing. I'm going through a life's journey moment and your affirmations and the art of writing has been a exercise that centers me. Thank you for that - It is such a gift!" - Lora W.